Watering and mowing alone will not make a healthy lawn. It must be fertilized. We have included a starter fertilizer in the mixture applied, but it is only sufficient to supply enough nutrients for about 30 to 45 days. 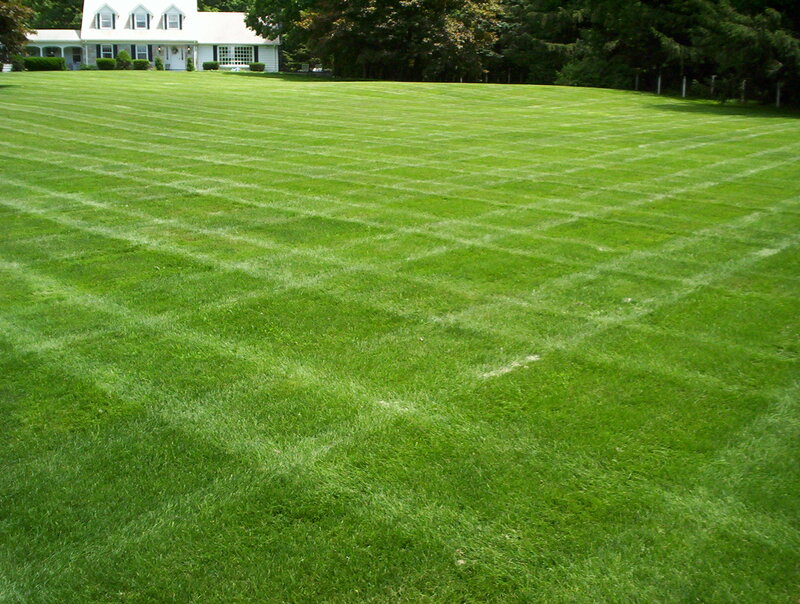 It is important for the development of a healthy lawn that a fertilization program be started at this time. There are 16 different mineral elements necessary for the proper growth of all lawns. The 3 elements that are of most importance and used in greatest quantities by your lawn are nitrogen, phosperous and potassium. Nitrogen is by far the element needed most by your lawn. It promotes root and blade growth and is responsible for the healthy green color of the grass. Without enough nitrogen your lawn will grow slowly and become yellowish. With too much, a lawn will grow too rapidly causing thatch build-up that can lead to disease problems. Nitrogen is also the element used up the quickest. Phosphorus is less important than nitrogen but is still necessary for for the proper development of a lawn. Phosphorus helps the early formation and growth of roots. This is why starter fertilizers have a higher percentage of phosphorus. Established lawns need very little phosphorus because it is not flushed from the soil as readily as nitrogen. A complete fertilizer is one that contains all three of these major elements. A fertilizer bag will have a set of 3 numbers, for example, 18-6-12, printed on it. This series of numbers represents the percentage, by weight, of nitrogen, phosphorus, and potassium contained in the bag. A 50 lb bag of fertilizer with a Guaranteed Analysis of 18-6-12 will have 18% or 9 lbs of nitrogen, 6% or 3 lbs of phosporus, and 12% or 6 lbs of potassium. On established lawns, Grass Master recommends the use of a fertilizer with a ratio of 3:1:3 applied at a rate of about 1 lb of actual nitrogen per 1000 square feet of lawn per application. From the example above, a 50 lb bag with an analysis of 18-6-12 will cover approximately 9000 square feet (9 lbs of nitrogen x 1000 sq. ft. = 9000 sq. ft.). When using fertilizers or any other chemicals on your lawn, follow the directions closely or you could do more harm than good. Over fertilization not only accelerates growth but can burn your grass. When fertilizing start with a dry lawn. Using either a broadcast or drop spreader, apply one-half of the recommended amount in one direction then spread the remaining half at right angles to the first. After fertilizing, it is necessary to water your lawn to wash the material off the grass and into the soil. 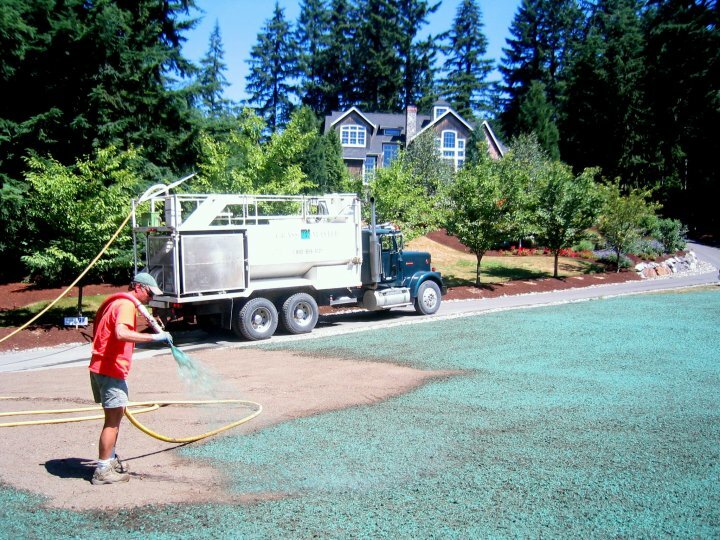 Lawns in the northwest respond well to an application of fertilizer 4 times a year. Each of these four feedings is essential to the proper development and maintenance of a healthy turf. The following is a brief summary of what each feeding will do for your lawn. Because of the differences in the environment these are a general recommendations. The color of your turf will help tell you when to fertilize. A properly fertilized lawn will be a uniform, dark green throughout. 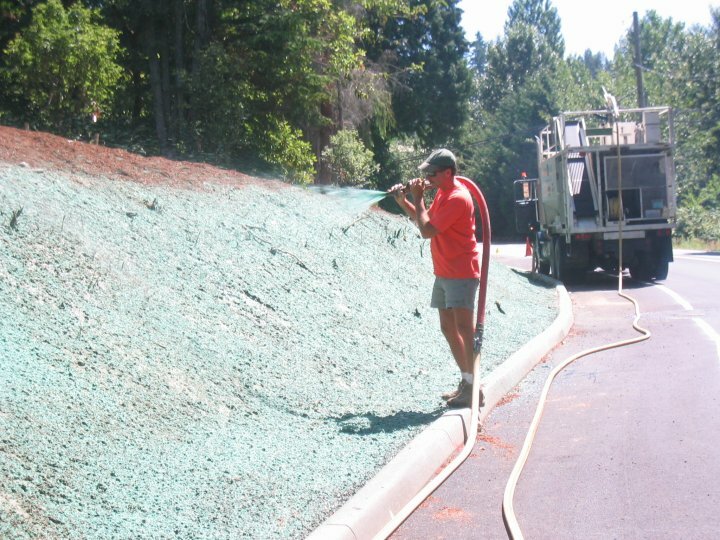 Yellowed or stunted turf needs to be fertilized. Important Note. Do not use weed or moss killers on your new lawn for a period of one year. In the spring the roots begin growing before the leaf blades do. Fertilizing now will deliver more nutrients to this root system and help strengthen it for the coming growing seson. A feeding now will also green-up the lawn after being dormant over the winter. Prior to the onset of the hot summer months, one more application is recommended. Fertilizing at this time is done to strengthen the lawn for the hot, dry weather ahead and to help keep it’s green color. Remember that these cool season grasses actually go semi-dormant in the summer. A fertilizer with a slow release nitrogen source and slightly higher potassium is recommended at this time. Important Note: Do not apply fertilizer during periods of heat stress. 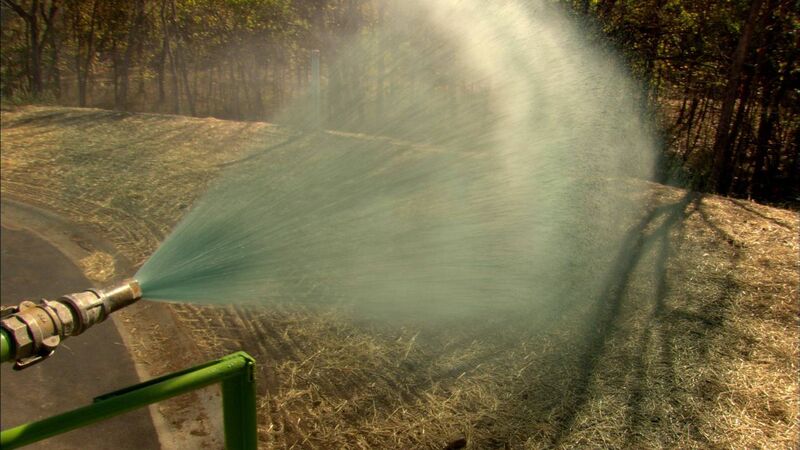 If limited or no watering is available then reduce fertilization by the same percentage your water is reduced. As soon as the weather cools, another feeding will help replenish nutrients used up and help the lawn recover from the effects of summer stress. The grass will be growing up at a faster rate again and will benefit from a fertilizer similar to that used in the spring. This application is actually the most important one throughout the year. As in spring, when the roots begin growing before the grass blades, the roots in the fall continue to grow a few weeks after evidence of top growth comes to a halt. Again, as in the spring, the roots will be able to utilize more of the available nutrients. This feeding will also help get your lawn off to a fast start in the following spring.